Here you will find information on many of my favorite Cryptologic slots, along with screenshots of paytables and some of my wins while playing with real money. I just recently started playing at Cryptologic casinos, so I don’t have very many big wins to show, but I will be updating this section regularly so check back often. Also, keep an eye on the New Slots page for new Cryptologic slot releases. All of the information about these slots is from my personal experience, if I say a slot seems to give bonus rounds more often, or spins in a win less often, that’s just what I’ve noticed after many spins on each slot. Sign up at a Cryptologic Casino today to play over 300 slots and other games when you download the online casino software. Players from Canada and most countries, except the USA, are welcome at these casinos. You can try a few of these slots on the Free Cryptologic Slots page, there are currently 21 free slots on that page. 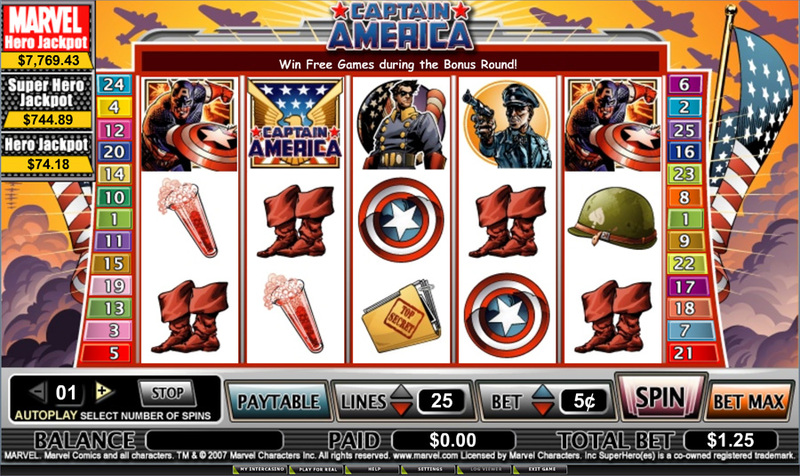 Captain America is an online slot machine powered by Cryptologic software. 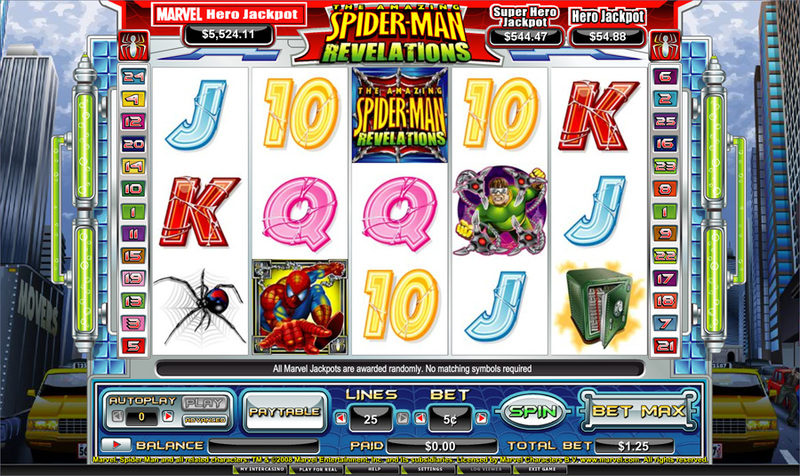 Available at almost any casino using this software, this slot game takes the character from the popular Marvel comic book and puts him and all his super human powers on the reels in a slot machine form. The layout is 5-reels 25-paylines and a demo is available to play for free here at The Canadian Gambler on the Free Cryptologic Slots page. Cryptologic is known for their Marvel games with attached Marvel Progressive Jackpots. There are three jackpots attached to all of the Marvel themed slot games and they range in prize amounts. The largest paying jackpot is the Marvel Hero jackpot; this is won at random, just as the Super Hero and Hero jackpots are and the more you play, the better the chance of winning one of them. The coin denominations vary between 0.01 and 5 credits. The maximum allowable amount per spin is $125, which is unlikely to be used by the average player. Paylines may be reduced, but you should keep them all enabled to maximize jackpot potential. Captain America needs no introduction. He is a superhero defending the USA in World War II. The popular comic has been around for years and has been brought to life on the big screen and in television series in the past. The symbols and icons rom the game are straight from the pages and the bonus feature gets you involved in the game. 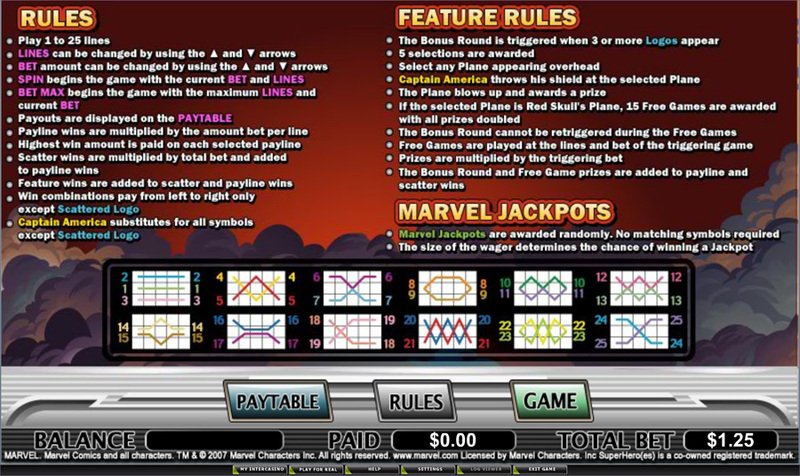 The wild in the game is the Captain America symbol, which acts as a substitute for most of the other symbols, completing winning payline combinations. 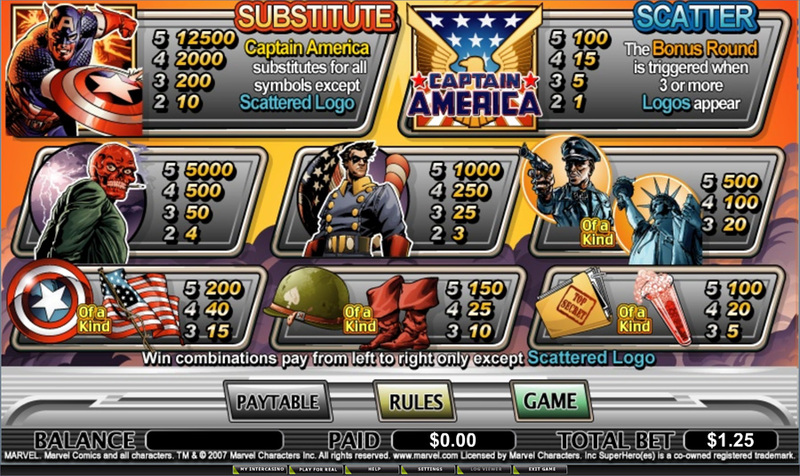 The scatter, which is the Captain America Logo, pays out scatter pays according to the paytable and your total bet. Three or more Captain America Logo scatters will trigger the feature in the game, which takes you to a second screen bonus feature. Once the bonus is activated, you will be taken to the battle field. You will take down five planes to reveal bonus prizes and free games. The amount of the prizes won during the feature is dependent on the amount of scatters that triggered the feature, along with your total stake. The backdrop is the war zone, and your job is to take down planes in a single throw of your boomerang like shield. You will have five planes to take down, each with their own prize. 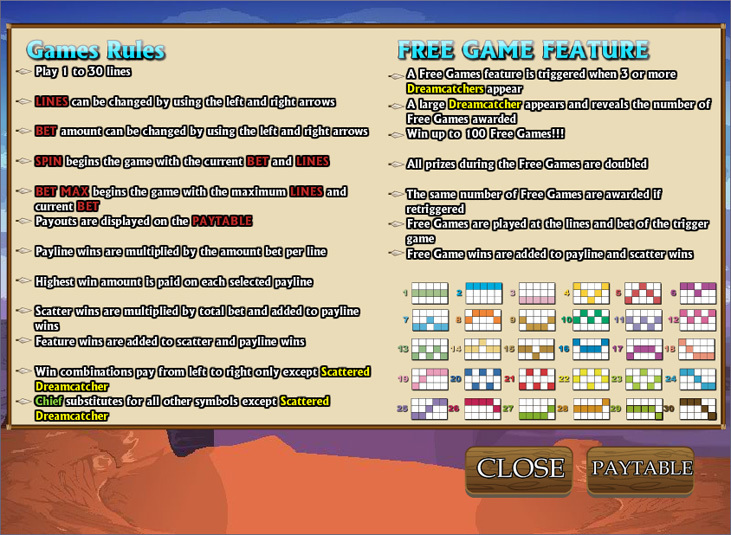 If free games are won, you will be returned to the reels where the rest of the feature will be played out. The bonus feature cannot be retriggered during the free games. Captain America is a fun slot game, especially if you’re a comic book fan. If you want to play Captain America and win real money, check out these trusted Cryptologic Casinos. Native Treasure is an online slot machine powered by Cryptologic software. 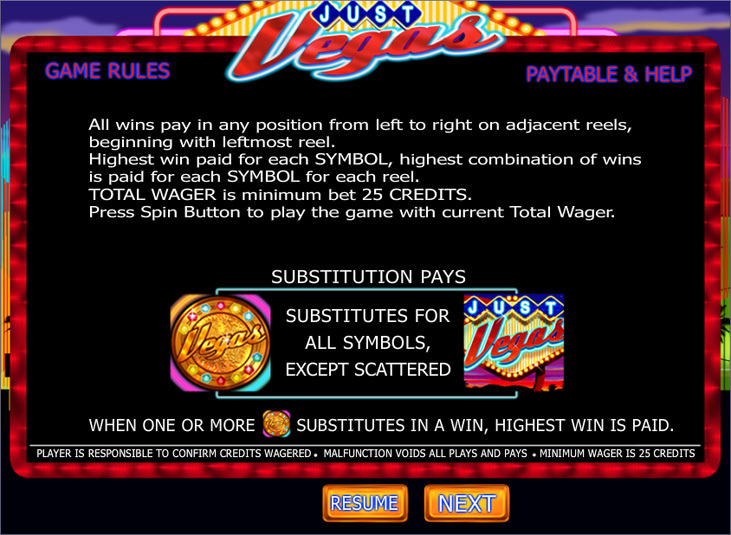 The layout is simple with 5-reels and 30-paylines, more paylines than most slot games offered by the software. The added paylines give you more of a chance of lining up a winning payline combination on the reels, with an added risk. This game, along with many others, may be found in the video slot section of your favourite Cryptologic (Wagerlogic) powered online casino. The theme, which is quite obvious by the name, is based off of Native American culture and all things related to the game carry the theme quite well. The design, graphics and of course the symbols, play a huge role in the experience. The symbols include; standard playing card values, Native Girl, Bald Eagle, Tomahawk and a Peace Pipe. The wild and scatter symbols are also thematic and include an Indian Chief and a Dreamcatcher. The Indian Chief wild is not only a substitute it’s also a multiplier. This symbol will act as all the other symbols in the game, completing more winning payline combinations while doubling all wins it helps create. This symbol is the highest paying symbol during the normal game mode and will payout an impressive 5,000 coins for five Indian Chief icons on an enabled payline. The scatter is the Dreamcatcher symbol and will payout scatter pays for two or more symbols in any position. The payouts are paid according to the paytable and your total bet, and five scatter icons could substantially increase your bankroll at 100x the total bet for five scatters on the reels. Three or more scatters triggers the free game bonus feature, which has a great payout potential. Once three or more scattered Dreamcatcher trigger the feature, you are given up to 100 free spins! 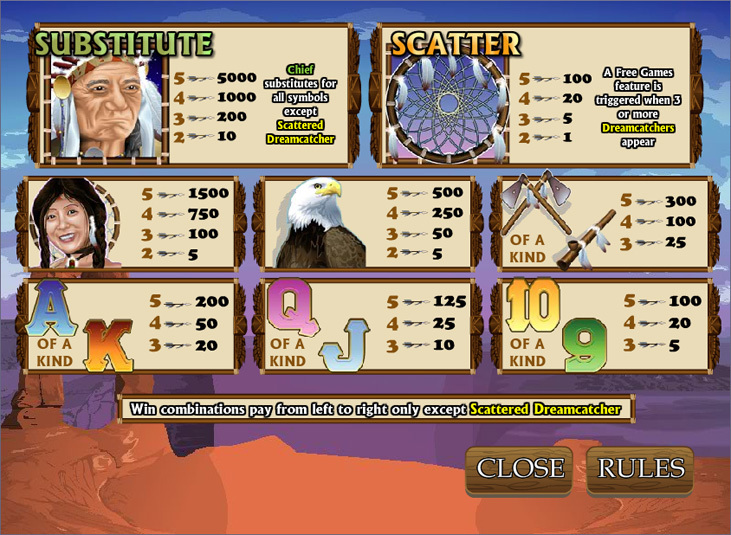 The amount of free spins are determined by the number revealed in the beginning of the feature by the large Dreamcatcher. During the free spins, all wins are doubled and the wild is also active. The free games may be retriggered, adding to the total of free games already in play, and this can happen an unlimited amount of times as long as you land three scatters on the reels during the feature. The payouts in the free games can be massive, especially with the wild acting as a multiplier on top of the multiplier already in play. All in all, this game is average . There is nothing super original, however; the payouts are impressive. The free game feature can be exciting, and the theme is much like some of the games you would find in your local land casino. If you are ready to give this a try, but need to find a casino that offers this game, check out the list of Cryptologic casinos which offer awesome promotions to get you started. 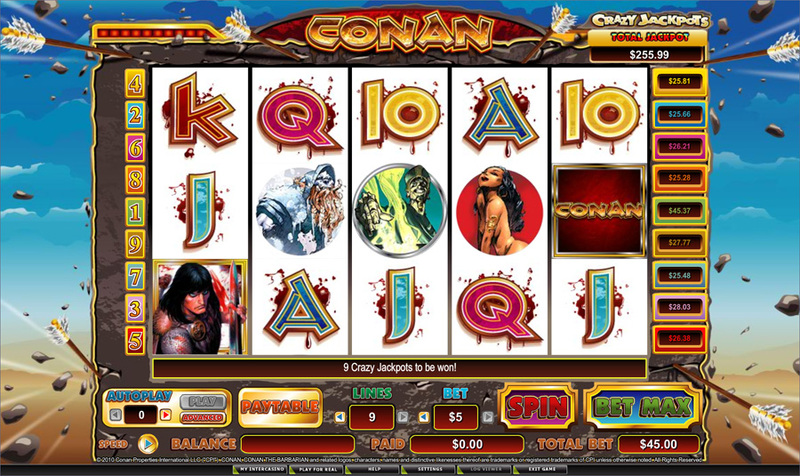 Conan The Barbarian is an online slot machine powered by Cryptologic software. The layout is 5-reels and 9-paylines, with Crazy Jackpots attached to every payline. The game is based off of the character that Arnold Schwarzenegger brought to life on the big screen over 30 years ago. The original Conan was developed in the 1930’s by famous fiction writer Robert E. Howard, so the storyline has been a part of history for many, many years. The theme is carried out on the reels in more ways than one. The entire design of the slot is attractive, including the details put in the symbols. The icons in Conan the Barbarian include; Wizard, Witch, Monster, Helmet and of course, standard playing card values. The highest paying jackpot, excluding the progressives attached to the paylines is 750 coins. This amount is rather small in comparison to the other slot games offered by the software but the jackpot potential and the feature payout potential make up for it. The coin denominations are between 0.01 and 5, making the maximum bet allowed $45. No matter your bet size, the payout potential can be fantastic. With wilds, multipliers and bonus features, the payout potential is impressive. The wild in Conan The Barbarian is Conan himself. He appears on the reels to act as a substitute for all other symbols. If five of this icon land on an enabled payline, you will win the corresponding Crazy Jackpot. Also, since it’s a substitute it substantially increases the chance of having other winning payline combinations as well as the jackpot. The only symbol it doesn’t substitute for is the Conan Logo scatter. The scatter appears on all reels and doesn’t need to land on a payline to award payouts. The wins determined by the paytable are multiplied by your total stake and paid accordingly. The ultimate scatter win is 100x the triggering bet, which could be a nice bankroll boost. Only two or more symbols are needed to activate the scatter wins and three or more scatters will trigger the Cave of Skulls Bonus feature. 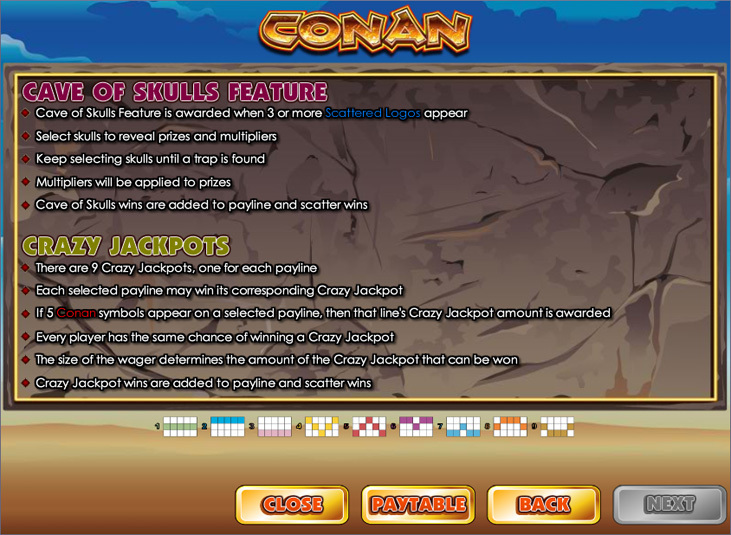 Once the Cave of Skulls is activated, you will be taken to a separate screen where you will pick from the skulls to reveal multipliers and bonus prizes. You can continue to pick from the skulls until a “trap” is selected, at which point it ends the feature and returns you to normal game mode. The jackpots are progressive and climb until won. Easily referenced on the screen, the amounts of the jackpot vary between paylines. 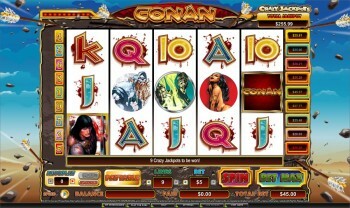 The more you play, the better your shot of landing five Conan symbols for an impressive prize. You can find this slot game at any of these Cryptologic online casinos. Just Vegas is a 5-reel, 243 ways pay video slot powered by Cryptologic software. Having 243 ways to win means there are no “paylines” needed to win on the reels. Just Vegas is all about what you would see on a vacation to the city of sin. The symbols, design and graphics play a huge role in carrying the theme throughout the game. The symbols include; High Roller, Lady High Roller, Stacks of Cash and VIP Host. Also, standard playing card values appear on the reels, completing the slot machine feel of the game. Coin denominations vary between 0.01 and 500.00 per spin. This slot is attractive to any budget and any bankroll. The more you play, the more of a chance of winning you have with the awesome features, wilds and scatters. The highest paying jackpot in the game pays 1,000 coins, which is not a huge sum compared to other slot games. The fact that you have no paylines give you a better chance of landing this win on the reels; what it lacks in numbers it more than makes up for in game play and features. The wild symbol is the Vegas symbol. This symbol acts as a substitute, creating more winning combinations on the reels. The more wilds that appear, the better as it substitutes for all symbols in the game besides the Just Vegas scatter. You should note that this symbol only appears on the middle three reels throughout the entire game so five wild symbols is not a possible winning combination. 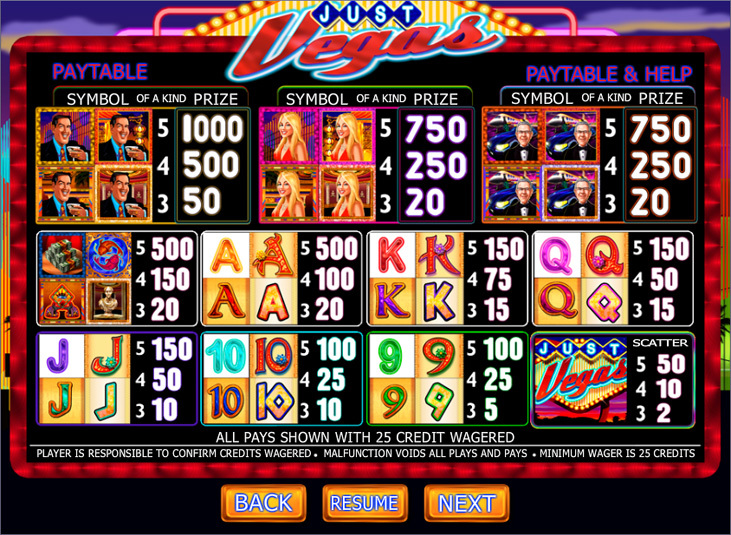 The Just Vegas symbol is the scatter and can land in any position to payout. Winnings are paid according to the paytable and depend on the amount wagered. The ultimate scatter payout is 50x the total bet, which is quite small. The scatter does initiate the unique bonus feature, and three or more scatters will trigger the Just Vegas bonus round. Once activated, choose one of the three casino options. The Asian Casino feature will give you 10 free spins with a tall wild that appears on the middle three reels. The Egyptian Casino feature will give you 15 free games with the original wild, only appearing on the middle reels. The Roman Casino feature will give you 5 free games with a massive 5x multiplier. No matter which feature works best for you, the payout potential is substantial. Additionally, with 243 ways to win, you can’t go wrong. There are more slot machines like this offered by the software, and there has been a rise of these all pay games around many other casino software online. This is a Vegas style game in more ways than one and is ready to be played on your next visit to your favourite Cryptologic powered online casino. 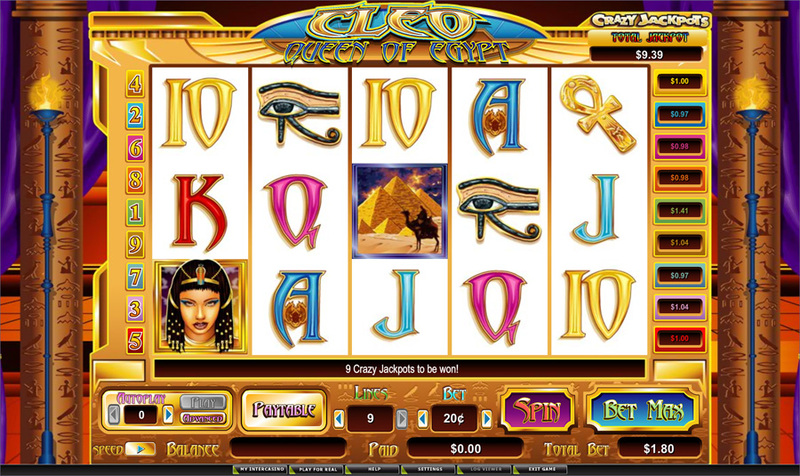 Cleo: Queen of Egypt is an online slot machine powered by Cryptologic. 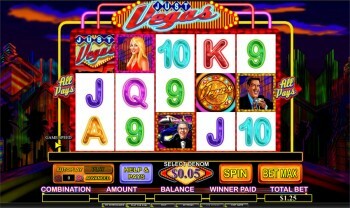 A progressive slot machine, this is one of the more classic games in the list of video slots offered by the software. The layout is more of the earlier slot machine layouts with 5-reels and 9-paylines, making it more of a high variance slot game. 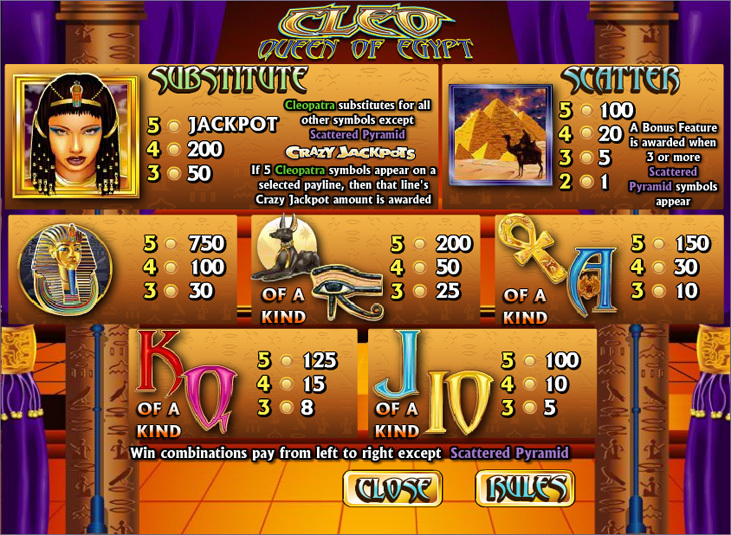 Cleo: Queen of Egypt is one of the more popular games offered by the software not only because of the progressive jackpot, but also because the payouts can be quite profitable with a little luck. 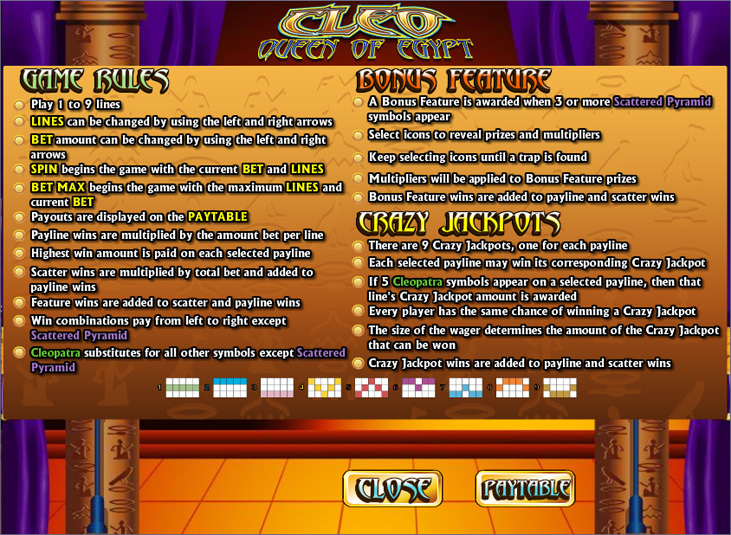 Cleo: Queen of Egypt is a coin based game and denominations vary between 0.01 and 5.00, in multiple currencies. The total allowable bet per spin is $45, which is high enough to keep high rollers happy, and the lower bets are good for the more average player. The largest jackpot in the game, excluding the progressive is only 750 coins, but the jackpots attached to every payline makes up for the small fixed amount. The theme is ancient Egypt and Cleopatra. The symbols and design of the game are simple but the details were executed with great details. The color, the symbols and the music are what you would expect to find and are similar to other games online with the same theme. Standard playing card values along with thematic icons make up the winning payline combinations. The Cleopatra symbol is wild and substitutes for all other symbols in the game besides the scatter. This helps you create more winning payline combinations, which helps keep you playing longer. The Pyramid is the scatter and will activate scatter payouts for two or more symbols on the screen. When three or more scatter symbols appear, the bonus feature is activated. When the feature is activated, pick from the Hieroglyphics symbols to reveal bonus prize and multiplier amount. All of the symbols hold different amounts, and you can keep picking until a “trap” is revealed. When the feature ends you will be returned to the normal game and all winnings from bonus will be added to your account. The jackpots attached to Cleo: Queen of Egypt are super original. This is the first 9-payline video slot to have a jackpot attached to each individual payline. The jackpots are triggered by landing five Cleopatra symbols on a payline. Once that happens, you will win the corresponding jackpot that climbs until won on the screen. The amounts are different between the paylines, some greater than others. For many reasons, Cleo: Queen of Egypt is much different than other 9-payline games offered on online casinos. This theme seems to be quite popular with the players and its unique features make it extraordinary. If you would like to give it a spin or two, check out these Cryptologic powered online casinos. 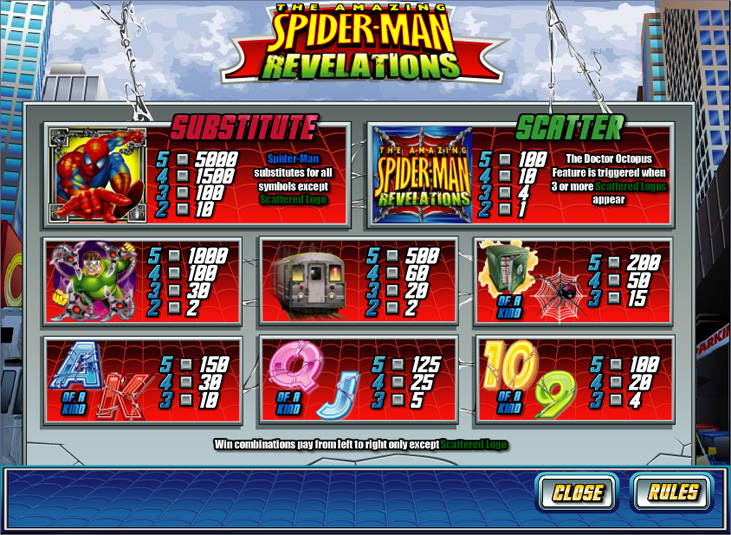 Spider-Man: Revelations is an online slot machine powered by Cryptologic software. Well-known in the casino industry as offering some of the most engaging slot games, including numerous Marvel themed slot games, Cryptologic provides quality home gambling entertainment to players all around the world from the comfort of their home. 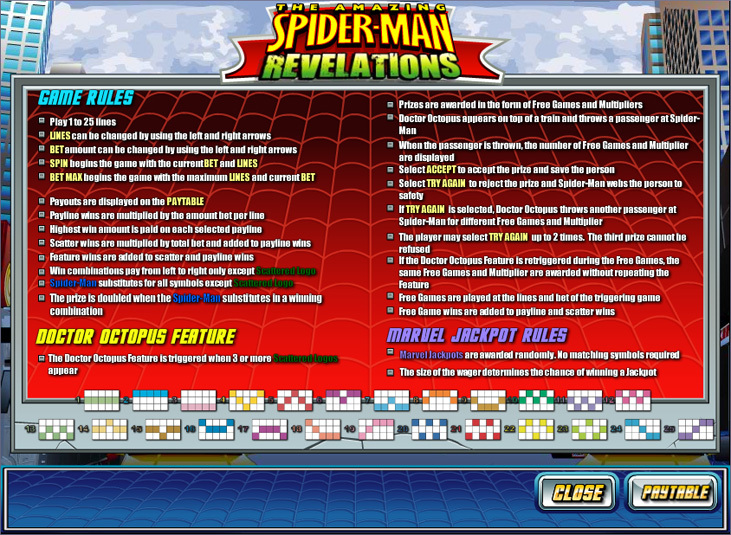 Spider-Man Revelations is based on the widely popular comic book character of the same name. The story is based on a man who was bitten by a radioactive spider. The bite transformed him into one of the most powerful beings on the planet, and gave him superhuman powers to fight evil doers and protect the citizens. This version of the game is based on Spider-Man and his fight against Dr. Octopus. During the bonus features and on the reels, the storyline is told and payouts join the storyline, making it not only exciting but potentially profitable. The graphics are basic and cartoon like and the colors are bright. The soundtrack is what you would expect from a slot from Cryptologic, and it helps add to the entertainment of the game as you play. There are symbols taken from the comic such as the Radioactive Spider, the Subway Train and a Bank Vault, as well as standard playing card values. The wild and scatter play a big role in the game. The highest paying symbol in the game is the Spider-Man symbol and he acts as other symbols, creating more payline wins for you on the reels. Not only does this symbol act as a substitute, it will also multiply all wins by 2x. Five wild symbols will payout 5,000 coins. The scatter is the Spider-Man Revelations Logo. Two or more scatters will payout according to the paytable and three or more scatters will trigger the free game feature. The free game bonus round is unique and it’s a lot different than the other games offered by the software. Once the game is activated, you are taken to a separate screen where you act as Spider-Man and find yourself atop a subway train facing Dr. Octopus. A passenger is thrown at you and will reveal your free game amount along with the multiplier to be used. Depending on what you receive, you can trade it in for another chance. You can do this two times and the third time is automatically what you will receive should you continue to retry your luck with the number of free games. The free games may be re-triggered by landing three or more scatters during the free spins, and instead of going back to the bonus round, you will be credited with the amount you won in the first round. There are three progressive jackpots in Spider-Man Revelations. The Marvel Hero Jackpot, Super Hero Jackpot and Hero Jackpot are all available and are triggered at random. The largest jackpot of the three is the Marvel Hero Jackpot, but the other two jackpots are just as awesome. See the screenshots below for paytable information. You can find this game, along with the other Marvel themed slot games offered by the software at your favourite online casino using the Cryptologic platform. 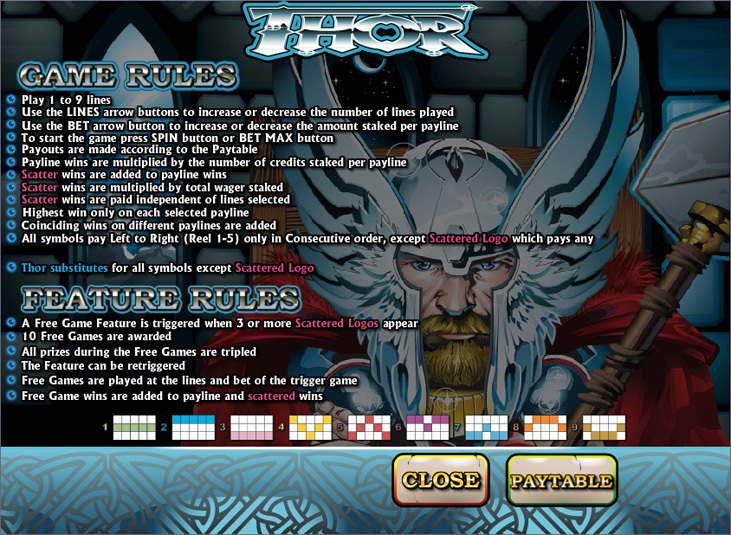 Thor is a 5-reel 9-payline video slot machine powered by Cryptologic online gaming software. 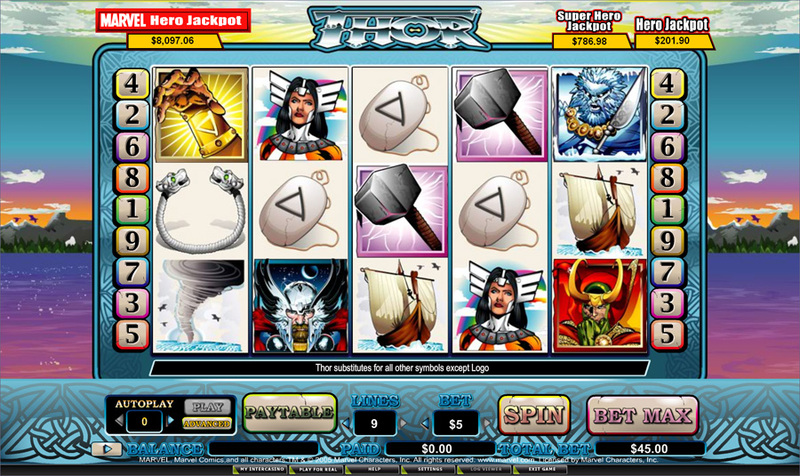 A Marvel themed slot, Thor provides all the action the comic book does, this time on the reels. Cryptologic software is known for having some of the most exciting and engaging slot games on the web, and this time is no different. Thor is gaining popularity as the movie, based off of the same character, plays on the big screen in theatres all over the world. 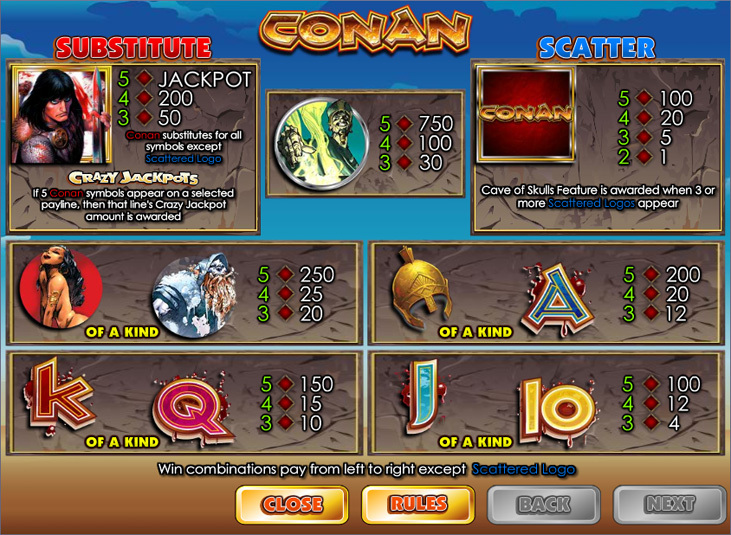 Cryptologic went all out to bring the same magic to the computer screen and slot lovers all around the world. The free games and payout potential are more than enough reasons to give this game a spin while on your next visit to your favourite Cryptologic powered online casino. Thor is a magical and mythological character and the strike of his hammer possesses serious powers. He and all the icons from the popular comic find their way onto the reels and bring the theme to live with colorful symbols, mild animation and thematic sound effects. With the fewer paylines, players can expect this game to be a higher variance to the other games offered by the software, and that may be what makes it worth playing. Larger paying hits are possible, and the fixed jackpot for Thor is an impressive 4,000 coins for five Thor symbols on an active payline. Thor is wild and will substitute for all other symbols in the game besides the scatter. This is an important feature in the game as wild symbols can help create many more wins for you on the reels. 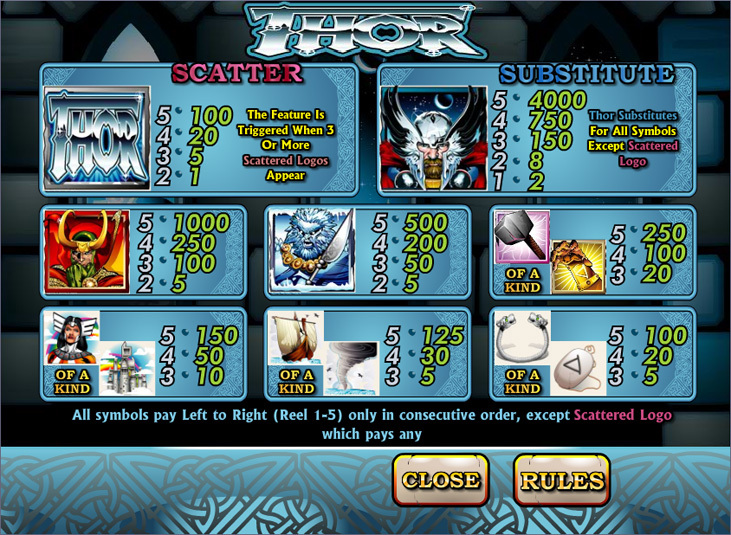 The Thor Logo is the scatter icon and will payout multiples of your total bet for at least two symbols in any spot on the reels. The more scatters the better as this symbol also activates the free game bonus feature. Three or more scattered Thor Logos will activate 10 free games with a triple multiplier. What is even better is the free games may be retriggered by landing three or more scatters during a single free game. The bonus feature could go on indefinitely, however; that is extremely unlikely. 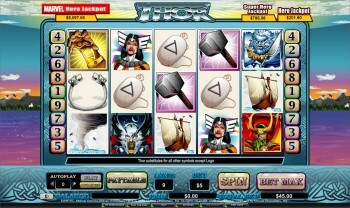 There are progressive jackpots attached to Thor and that is the ultimate win when playing this slot game. There are three jackpots in total and they continue to climb on the screen until won. 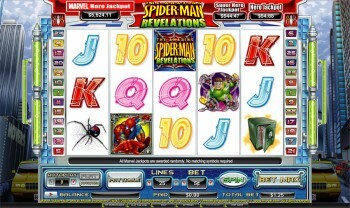 The Marvel Hero jackpot is the largest of the three and all of the progressive jackpots are won at random. If you are ready to play Thor or any other of the popular Marvel themed video slots offered by Cryptologic software, spin to win now at any trusted Cryptologic online casino. 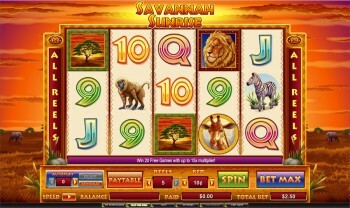 Savannah Sunrise is a 5-reel slot found at Cryptologic online casinos. This slot features 243 ways to win, a wild symbol on reels 2 and 4, and a free spins bonus. 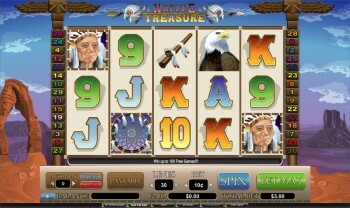 You can change the number of reels on this slot, and any inactive reels only pay on the middle symbol. Playing all five reels activates the 243 ways to win, and it costs the same as playing all lines on a 25 payline slot. I wouldn’t suggest playing less than 5 reels, as you would possibly be passing up wins and free spins. Plus if you’re playing with pennies, it would only cost 25 cents for a spin. 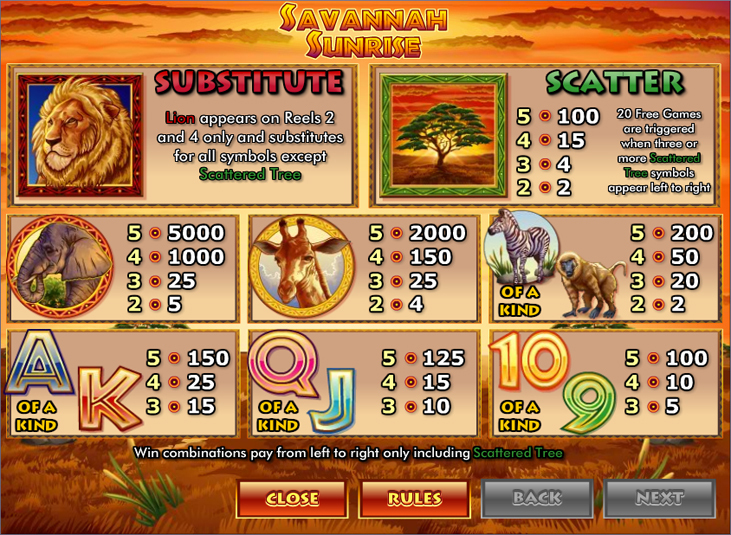 Free spins are triggered when three or more scattered Tree symbols land on the reels from left-to-right during a spin. You are awarded 20 free spins with various multipliers. If the wild Lion symbol substitutes in a winning combination on reel 2, the prize is multiplied by 3, and if the Lion is involved with a win on reel 4, the prize is multiplied by 5. If the wild lands on both reels 2 and 4, and both of them substitute in a winning combination, the prize is multiplied by 15. I wouldn’t like this slot very much if it wasn’t for the 243 ways. Having that makes it fairly easy to hit the 15x multiplier during free spins, and when it does you know it’s at least a 4 of a kind, or more than one. See the screenshots below for paytable information. 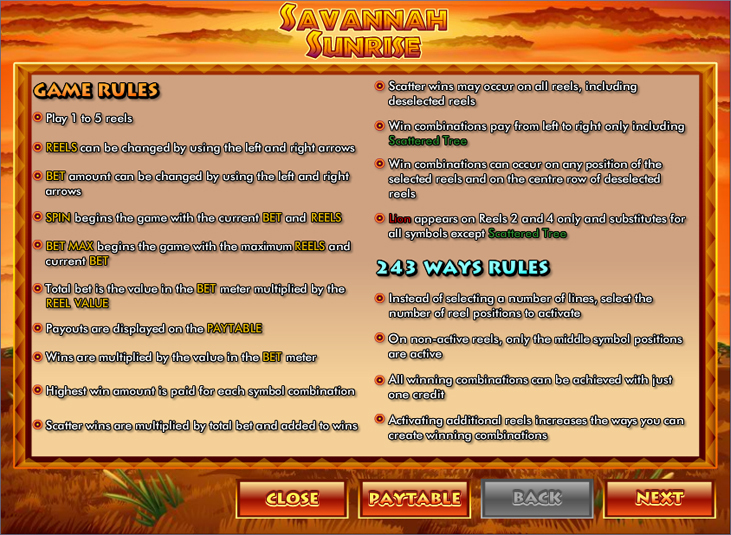 Play Savannah Sunrise today at these Cryptologic Casinos. 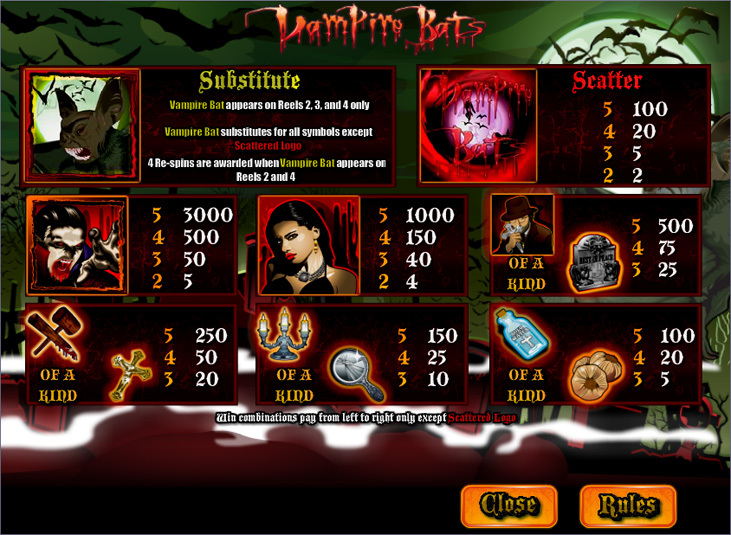 Vampire Bats is a spooky 5-reel slot that you can find at Cryptologic casinos. 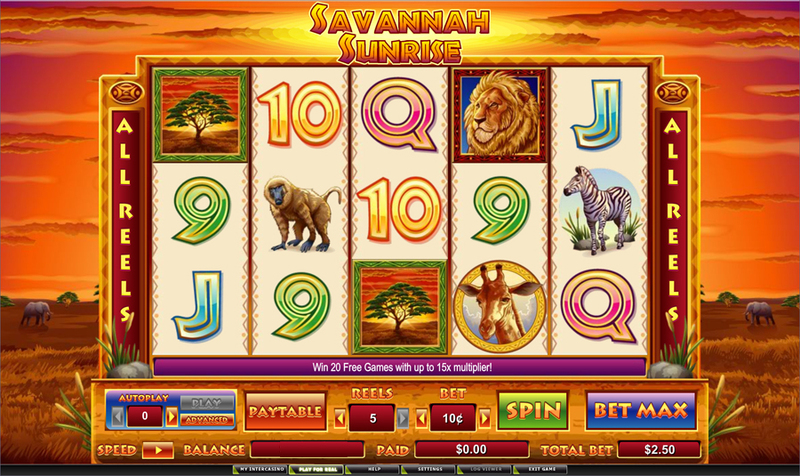 This slot features 25 paylines, wild symbols, a re-spin feature, and progressive jackpots. The Bat symbol is wild and only appears on reels 2, 3, and 4. The Re-Spin Feature is triggered when wild Bat symbols land on reels 2 and 4 during the same spin. You are awarded 4 free re-spins and the wilds on reels 2 and 4 expand to fill the entire reels for the duration of the feature. The re-spins feature obviously cannot be re-triggered due to reels 2 and 4 being occupied. 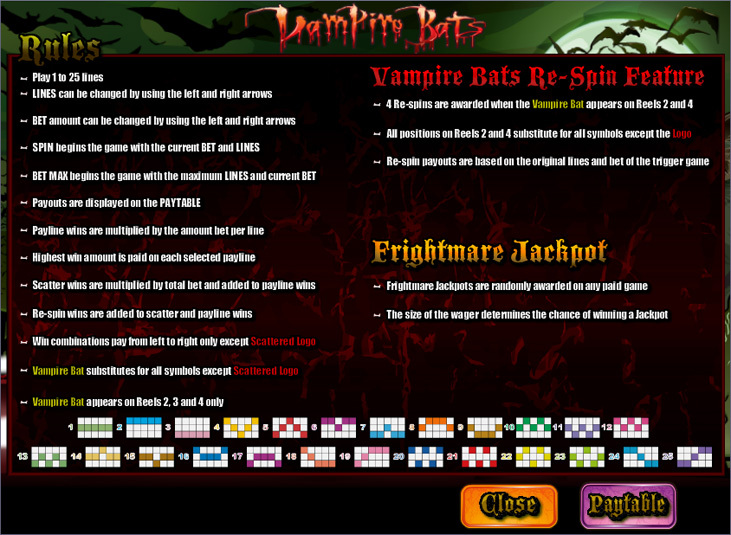 There are two Progressive Jackpots available on Vampire Bats, called the Frightmare Jackpots, which are networked with a couple other spooky-themed slots. The Monster Jackpot is the major, and the Spooky Jackpot is the minor. These jackpots are awarded randomly, but having a higher bet size increases your chances of hitting one. See the screenshots below for paytable information. 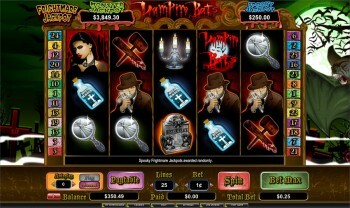 The screenshot in the middle was taken shortly after I won the Spooky Jackpot for about $350 on a 25c spin. I didn’t even know I hit it until a few spins later when I looked at my balance, nothing had lined up and I spun too fast. I didn’t expect to hit any kind of jackpot with such a small bet, I was just playing it because I like the re-spin feature. Play Vampire Bats today at these trusted Cryptologic Casinos.